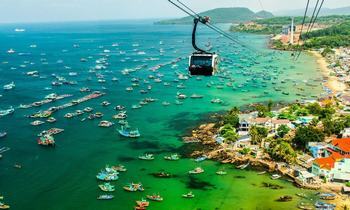 Vietnam is well-known for its breathtaking landscape which attracts a large number of tourists every year. The marine ecosystem is also incredibly diverse, especially coral species - considered the most diverse type in the world. If you are into beautiful coral reefs, do not miss these destinations below. 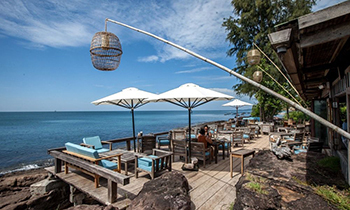 Con Dao archipelago consists of many islands such as Bay Canh, Tai Island, Tre Island, Trung Island, Trac Island, and Cau Island, where coral reefs with the highest density in Vietnam are converged - an ideal place to explore the exciting ocean world. 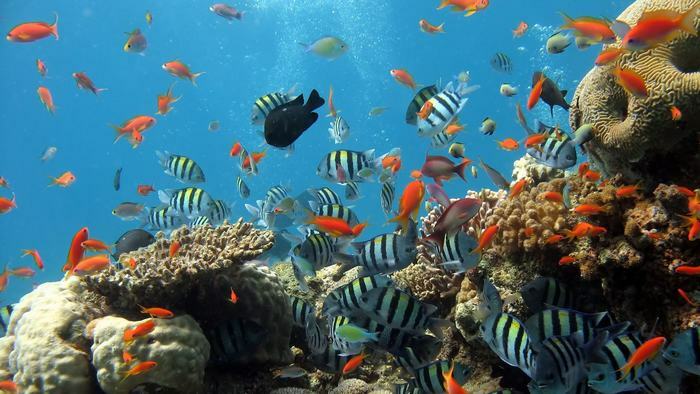 This area has 1383 marine species of which there are 219 species of coral, and the average coverage is 42.6%. Coral groups include block corals, branch corals, blade corals, and mushroom corals. To get here, you can take a boat or canoe from Ben Dam port or Ong Dung beach. Also, visitors to Con Dao also enjoy watching sea turtles laying eggs in Bay Canh Island (from March to October). Coming to Con Dao National Park, you will go snorkeling to explore the wonderful ocean world to see the colorful fish, coral reef and a lot of marine species such as sea cucumbers, mussels, and sea snails. 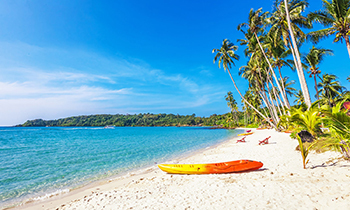 Not only well-known for pristine sandy beaches, but Phu Quoc is also home to stunning coral reefs. 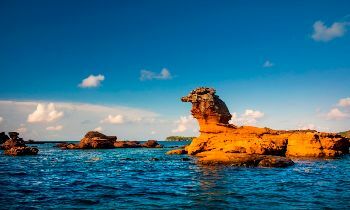 Both North Island and South Island have a lot of places where you can see the corals such as An Thoi Archipelago, Thom Island, Ganh Dau, Fingernail Island or May Rut Island. 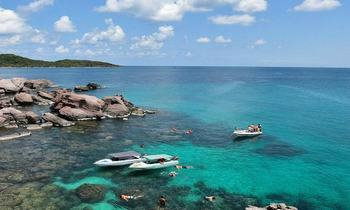 The most suitable time to experience diving here is in the dry season, from October to April. 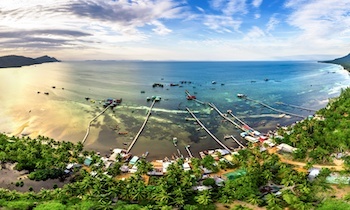 Phu Quoc has 480 hectares of coral with about 360 types of hard corals and dozens of soft ones. It is also home to 152 species of fish, 98 species of seaweed and a lot of aquatic creatures. When it's sunny, and the sea becomes clear, you can see the coral at 8-10 meters deep even you're standing on the boat. However, you should experience diving to see the marine life. 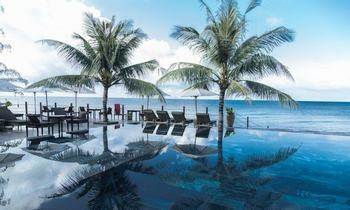 Located about 60 kilometers to the southeast of Nha Trang, Binh Ba is an attractive destination for tourists with the charming natural scenery and specialties. The unique feature that most people enjoy when visiting this island is diving and watching coral. The sea here is unspoiled and less affected by humans. 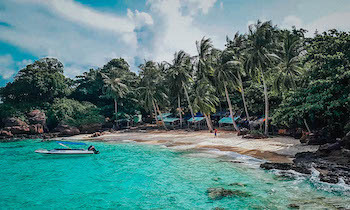 Binh Ba possesses a lot of beautiful coral reefs such as Chuong Beach, Nom Beach or Nha Cu beach of which Nha Cu Beach is considered to be the best coral viewing point due to the one-of-a-kind coral reefs with low sea level and clear blue water. 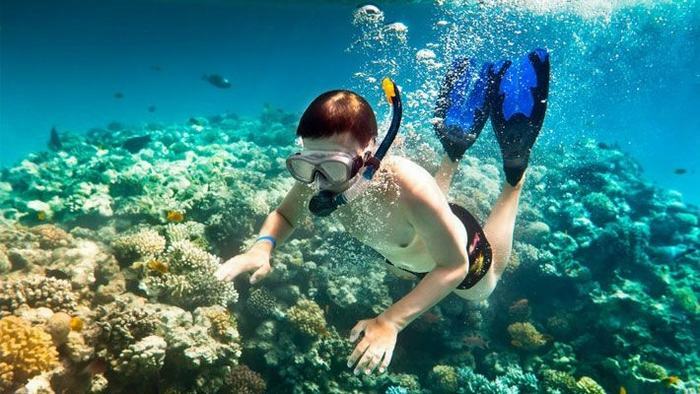 Tourists who are not experienced in snorkeling often choose the package services of companies. 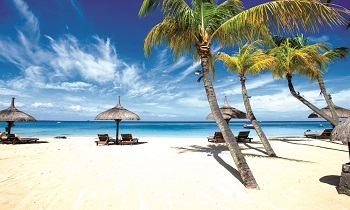 In addition to the catering services and diving equipment, these packages also have tour guides. Depending on the capabilities of each one, the tour guide can let visitors dive deep or shallow. 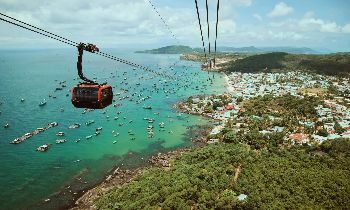 Located about 10 kilometers of Da Nang Center to the northeast, Son Tra Peninsula is also one of the places with great marine ecosystems that tourists should explore. This place is not only a fanciful world of corals with strange shapes but also a habitat of many marine creatures. 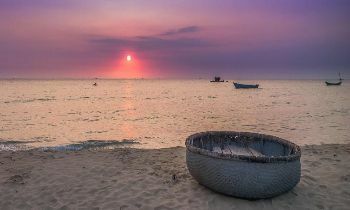 It takes you five minutes to get a canoe to Hon Su area - one of the five places which concentrate most coral in Son Tra. However, the corals here are at depths of 7 - 10 meters which are suitable for diving and snorkeling. 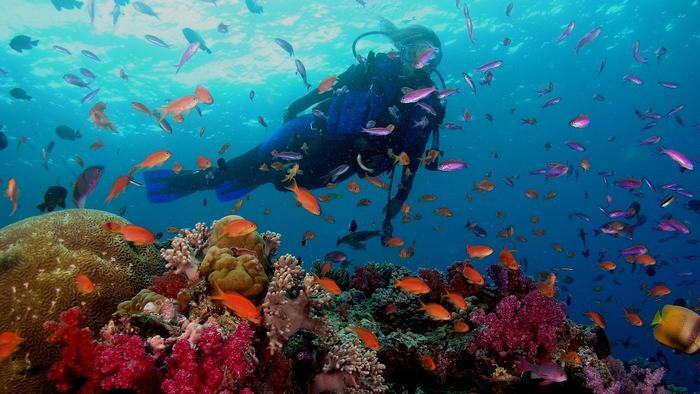 Those who dive at the first time will have time to get used to the oxygen tank and the supporting diving equipment like propellers and are instructed to ask for rescue when encountering obstacles or have health problems. Cu Lao Cham in Quang Nam Province has a marine protected area of 5000 hectares of which 165 hectares are coral reefs, and 500 hectares are seagrass beds with many types of marine species. It promises to bring visitors memorable moments in the wonderful ocean exploration. 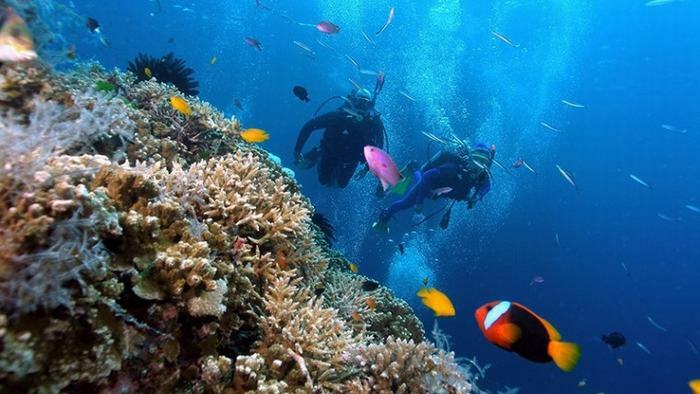 There are many coral areas on the island for visitors to choose such as Hon Dai, Hon Tai, Hon Nhon, Rang Manh, Bai Beo, Bai Xep, and Da Trang with about 300 different coral species. It only takes about 15 minutes to go by canoe; visitors will reach the point of most coral reefs in Cu Lao Cham - Hon Dai, covered by green forest trees. Under Hon Dai are large rocks around to form a solid bank. 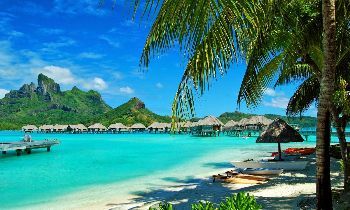 Coral reefs with hundreds of colors constitute a dense array in subtle blue water, which makes visitors extremely excited. These destinations above surely will not disappoint you when spending your holiday there. Choose the most favorite one and take a trip. If you concern more about traveling in Vietnam, please visit our website. Have a nice time!